Day 2 of our 30days / 30designs project, began with anticipation and passion. Day 1 had continued late into the night, but this enabled us to focus on the meaning of our project. 30days / 30designs is about being creative each day, not creating a perfect final blouse each day. So, we re-aligned our expectations and adjusted our day to allow for a longer creative process and to not get distracted by the fine constructive details. Prior to the project we constructed a moodboard of assorted images. The board does not focus on fashion but on moods, textures and movement. Today an image stood out to Marina, a photo by Berlin photographer Florinel Frătică. The image contained and everyday scene of bus seats, which may not seem like much. 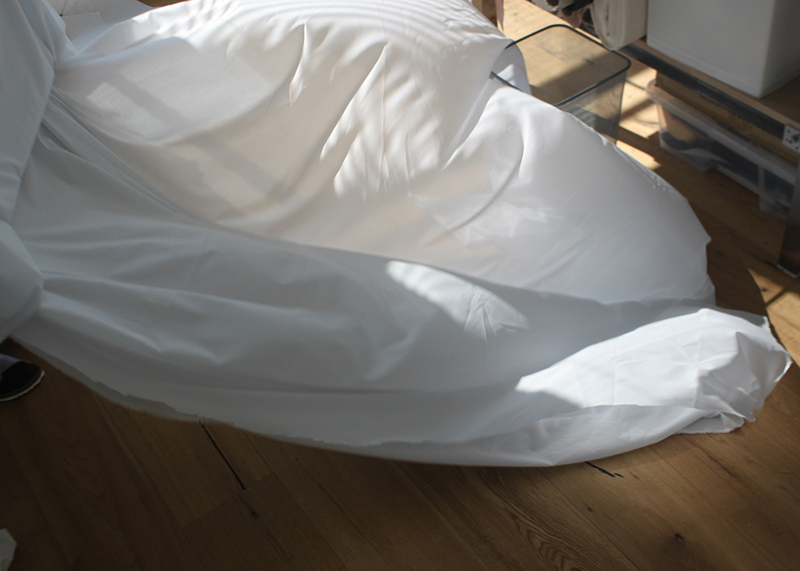 But the folds, play of shadows, and the rippled texture of the seats planted the seeds for an idea and this grew into day 2’s blouse. Immediately Marina could picture the women who would be sat in Florinel Frătică photo and this image solidified the design of the day. 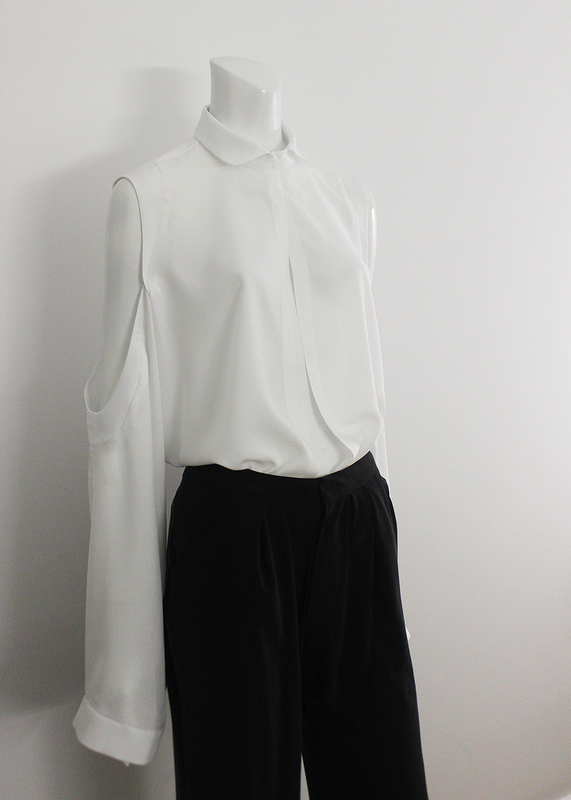 This blouse has a focus on sleeves and the rest of the blouse is reserved and strong with a traditional closed collar. The sleeves contrast to the closed neckline, by playing with an open slit to show bare skin. There is billowing volume in the sleeves, that moves and settles to create delicate shadows, reminiscent of the bus seats photograph. Inspired by Berlin, we went out to enjoy the frozen crisp air, exploring areas of Kreuzberg and breathing in the cities atmosphere. Refreshed from walking the team was ready, we were focused. The design was fresh in everyone's minds, ready to escape from sketches and become a tangible creation. Soon the tasks were established and allocated with ease. Today we knew what we were doing, focused and ready we moved in rhythm to create day 2’s blouse.